Explore the area: Before buying a piece of land or what we call down in cape coral a “Lot” it’s very important that you investigate the surroundings. You need to make sure that you’re going to build your custom home near to daily necessities such as schools, restaurants, stores, interstates, and so on. Also, make sure that the neighborhood is peaceful and safe. Our professionals at Sinclair Realty Inc can help you find the perfect lot in cape coral. If you can get a freshwater lot it helps to increase the value of your home and if by chance it’s gulf access you really have a better investment. Sinclair Realty can help you with all the details and take you to the available lots in cape coral Florida. Plan for the long run: Your new custom home must be comfortable, functional, and convenient for not only the short term but also the long-term as well. While planning your new custom home’s layout, you should not only keep your current lifestyle in mind but also many more years to come. People’s lifestyle changes according to the age, so make sure that you’re planning appropriately. 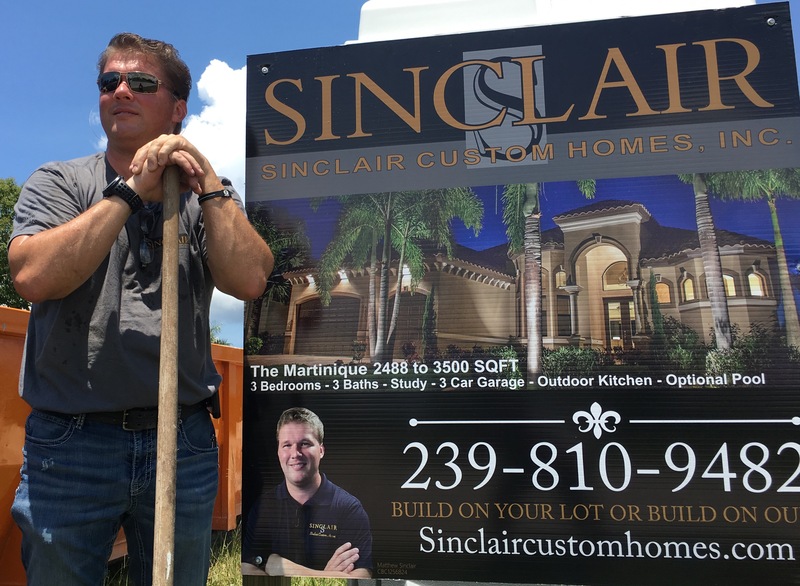 Our staff at Sinclair custom homes will be able to assist you through the building process. Matthew Sinclair will explain to you the “Value Points” of your home so you can maximize the investment for resale later down the road.